Months back a friend ran up to me in pure excitement to share that she and her husband had recently completed some planning they’d put off for 5 years (not uncommon!) She said after the documents were signed and they were back in the car they felt GIDDY. C’mon is there a better feeling? 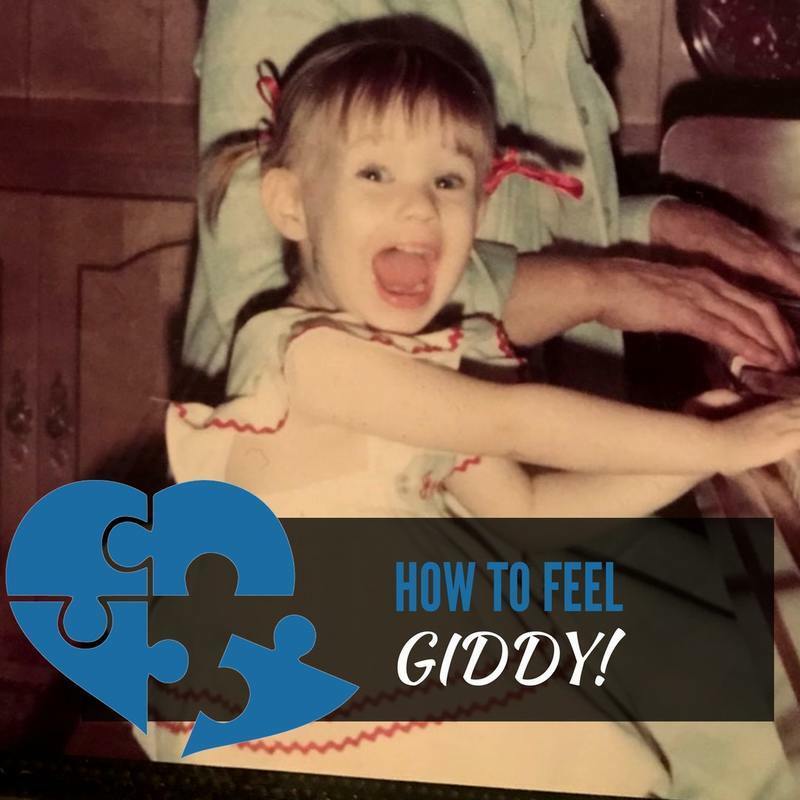 Knowing you’d feel not only relief, but GIDDY – that should help inspire you, yes? I want to make it as easy as pie to get this stuff done so many of us put off. So let’s do a quick January 30 day challenge – together. Just 1-2 minutes a day (less than you’ll spend finding new recipes or at the gym) to gain that feeling of GIDDY. Let’s do it. 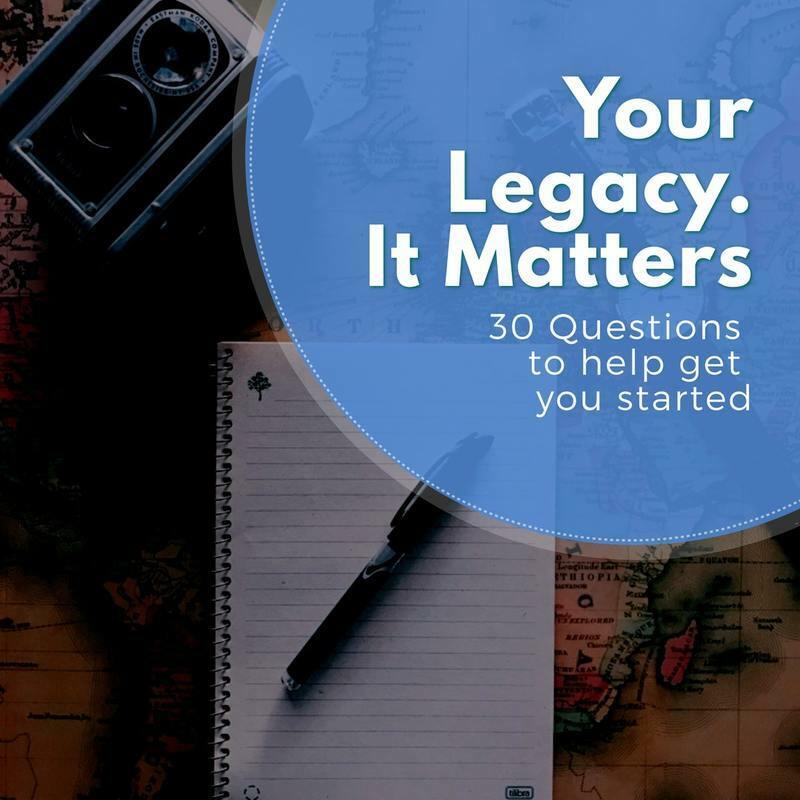 Sign up for the checklist and I’ll be posting 30 days of tips, inspiration and questions to spur you along. You got this. You can do it. It’s for you but also your loved ones. A GIDDY gift. We will be posting each day’s action on social media. Here’s to a GIDDY New Year! I told her I wrote a book called “Missing Pieces Plan” that helps people plan for end of life. I was completely blown away. And, so impressed with her detailed plans. She then went on to share that she’d lost her husband and learned more than she wanted to know as a result. Nevertheless, it led her to make these thoughtful plans for those SHE will leave behind. She did it because she learned, she’d been there with a loved one. She didn’t want mistakes repeated. She didn’t want others to anguish over missed pieces – when she could complete them. There are many that have gone before us that have learned what happens when their loved ones haven’t plan. They know the pieces they are left to sort out, pick up, grapple with. 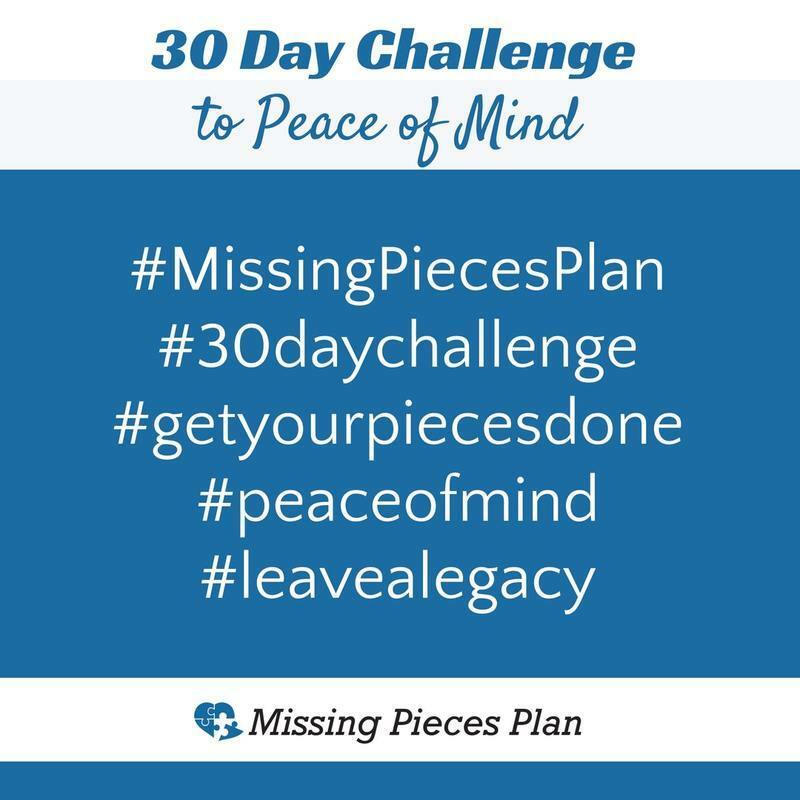 The Missing Pieces Plan wants to help you – whether you’ve been there or not – help leave your loved ones better prepare by completing your pieces. Let the Missing Pieces Plan help you fill in what may or may not be missing. 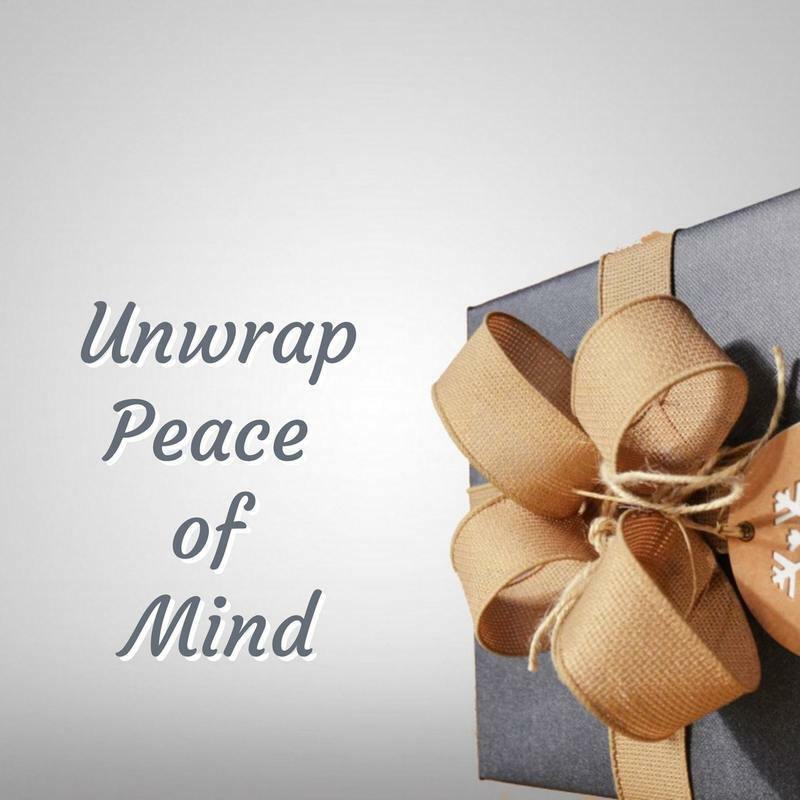 So you leave your loved ones prepared. No mess necessary. To take the Online course, CLICK HERE.